So the original idea really started in the Newton days. Back then it was just a device, but it grew to be more of a service that would let you keep all of your memories. [It would] just remember everything. …They started [Evernote] with this idea of giving everyone a better brain, giving everyone a perfect memory. This interview has made the rounds, but this idea of the Newton as a ubiquitous capture device always stuck with me – because that’s exactly how I used mine. I think of the time I’m in a big book store and I need to remember a certain book to check up on later. Whip out the Newton, scribble a note to myself, file it for later, and then never have to Spotlight-search my brain to remember what it was. The MessagePad’s usefulness was immediately apparent to a absent-minded professor like me. Some people swear by a simple notepad and pen, or by a stack of index cards in their back pocket. For tech geeks, the Newton let you simulate that paper-and-pen experience but with electrons. If you’re like me, you need something to capture all that random input throughout the day. Lately, that something has been Simplenote, along with my iPhone’s camera. The nice thing about these electronic methods of capture is that their capture-ability is close enough to infinite to be infinite. With pens and paper, you run out of ink and notepads, or you collect and waste actual material resources. I used to use little scraps of paper at work to collect thoughts and notes, and it quickly got out of hand. By storing it electronically, in flash memory somewhere, it just collects and collects without taking up real, physical space. Newtons and iPhones can lose their charge, of course, or get their brains wiped out (which is catastrophic, but a good you-need-a-backup-strategy example). Still, using Simplenote feels like I’m using an infinite, curved alternate dimension to store reminders and notes. The Newton did the job fantastically, too, because it felt like you were storing an infinite amount of scrap pieces of paper (that went in the trash when you deleted them!). So it’s no surprise that an idea as great as Evernote sprang from the Newton concept. Posted by davelawrence8 at 7:48 am on November 15th, 2010. No comments... » Categories: newton history. Tags: evernote, forkbomber, messagepad, newton. Subscribe via RSS. Since the Macintosh division, as well as many others at Apple, saw the Newton as something that could very well make desktop computers extinct, they decided to develop a Newton-like Mac. 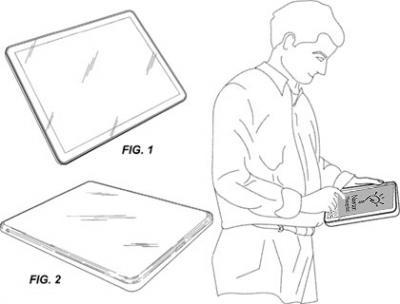 Something that could act like a portable, slate-like device. But, unlike the Newton, these devices would run Mac software, with a full Mac operating system, and work with a keyboard and mouse. It was a bridge between the original Macintosh and the new, mobile powerhouse: the Newton. What proceeds this is a fascinating tour of Apple’s history designing tablet computers – and not just the Newton, but tablet-style Apple IIs and Macs as well. Reading through this, you get the impression that the folks at Apple have been obsessed with portables for a very long time. All these years later, it’s what the company is best know for. Posted by davelawrence8 at 6:18 am on November 11th, 2010. No comments... » Categories: apple, newton history, PDA. Tags: apple, bic, ipad, mac, messagepad, newton, prototypes, slate, tablet. Subscribe via RSS. The bottom line on the Newton Message Pad is that Apple promised too much and failed to deliver a useful device for everyday executive chores. On the other hand, the Message Pad practically hums with untapped potential, and six months (or moths) to a year from now it is likely to be a popular executive tool. …When it was first described publicly more than a year ago by Apple’s chairman, John Sculley, the Newton was said to be a combination pen-based computer, personal organizer, fax and data communicator, and wireless messaging system.The Newton is indeed full of promise, but that’s not the same thing as fulfilling the promises. I’m just trying to think of a situation where today’s Apple would release a product that had more “untapped potential” than actual usefulness. The original iPhone, maybe? It didn’t have apps, cut/copy/paste, or any of the things we all take for granted now. But then we didn’t have to worry about faulty handwriting recognition. Today, it seems a new Apple product must have an immediate pick-up-and-use aura. Potential comes through iteration, sure, but you’re not left holding a device that inspires a yawn – or a question of its practical aspects. The opposite argument is that apps didn’t come to the iPhone until a year after its launch, and then the whole world seemed to open up. With the Newton, it took until at least Newton OS 2.0 to get things in motion. Posted by davelawrence8 at 6:59 am on August 24th, 2010. No comments... » Categories: ipod/iphone, messagepad, newton history. Tags: iphone, messagepad, new york times, newton, potential, review. Subscribe via RSS. - Jeff Atwood at Coding Horror, on how tough voice recognition (and handwriting recognition) is, despite today’s super-powered PCs. Posted by davelawrence8 at 5:31 am on July 14th, 2010. No comments... » Categories: newton history, quote. Tags: coding horror, handwriting, input, messagepad, newton, recognition, stylus, voice. Subscribe via RSS. Picture this: Jurassic Park, Smashing Pumpkins, and the Newton MessagePad were all released on the same year, 1993. Which, for me, makes 1993 the nigh-perfect year. Jurassic Park is one of my all-time favorite movies (I saw it in the theaters three times), and Siamese Dream is the greatest rock record of the ’90s and on constant rotation in my iTunes collection. The Newton? Well, it just goes without saying that it was a big release for Apple. Plus The X-Files hit the Fox airwaves, Bill Clinton became President of the United States, André the Giant died, and I was twelve years old. All this random trivia brought to us by Stuff.tv. They assembled a “what happened that year” collection, and boy – 1993 was a very good year. Posted by davelawrence8 at 7:41 am on June 7th, 2010. 2 comments... » Categories: newton history. Tags: 1993, apple, jurassic park, siamese dream, smashing pumpkins, x-files. Subscribe via RSS. In summary, a $502.5m outlay resulted in a return of $842.5m or a profit of $340m. This analysis doesn’t include the portfolio of patents and other intellectual property that the Newton project generated and from which Apple continues to benefit to this day. Depending on your perspective, the Newton was hardly a failure. The perspective part is key, right? Because Kan is right, at least when it comes to financials and intellectual property. But how about success in terms of business sense or popularity? Or even enjoyability? I’ve heard it argued in a few places that, had Steve Jobs not killed off the platform, new Newtons like the eMate could have taken off. So maybe later it would have made business sense, with some tweaks and modifications here and there. A smaller size, perhaps, or a color screen. More support. Or, good lord, a lower price. That’s where I think the “failure” term gets thrown around a lot: the Newton wasn’t all that popular. It didn’t take over Apple’s business in a transformative way like, say, the Macintosh did. Or the iPod. It wasn’t a smash hit (I almost wrote “success” there). There’s no question that people who used the Newton enjoyed it. They still enjoy it today, even if it’s not an every day machine. For current Newton users, the MessagePad was anything but a failure. Some see other devices’ handwriting recognition and interface and scoff. Those are the failures. But when John Gruber postulated that the iPad has all ready outsold the entire Newton product line, he was probably right. The closest numbers anyone, including Grant Hutchinson, can come up with is about 200,000. The iPad sold more than that on its first day. Posted by davelawrence8 at 6:52 am on April 28th, 2010. No comments... » Categories: newton history. Tags: eMate, failure, messagepad, newton, success. Subscribe via RSS. 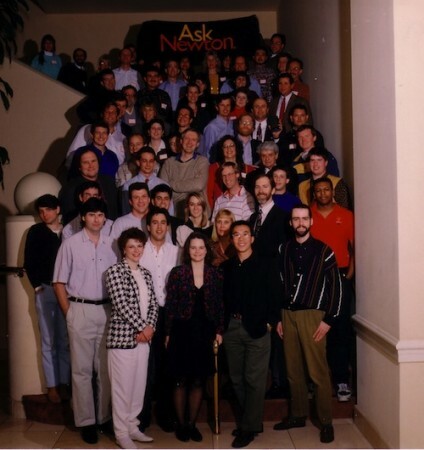 Rainy Day Magazine was nice enough to share a few photos from the early days of the Newton, including a photo of the original development team (above), the “core team” (including John Sculley), a prototype Newton, and a congratulations gala of some sort. Nice to have some recognition for the original gang that put this device together. We can only hope that, as the Newton improved over time, so did their haircuts. Posted by davelawrence8 at 7:11 am on April 15th, 2010. One comment... » Categories: newton history. Tags: development, newton, photos, rainy day magazine, team. Subscribe via RSS. It was with tremendous pleasure that David and I got to speak with Grant Hutchinson, aka Splorp, during our show this week. Since I first discovered the Newton, and in all the research afterward, Grant’s name kept popping up in all these different and helpful places. His FAQ, his Flickr library and group, his Newted Community – it was all kind of a “welcome to the party” for an up-and-coming Newton fan. I’ve been lucky enough to talk with Grant about the Newted crash and resurrection, and David was wise enough to invite him on the show for a talk full of retro Mac and Newton goodness (among other things). What’s neat is that Grant has been an Apple guy from the early days, when he got an Apple II in 1978, and saw his first OMP in Boston at a trade show. The clean, efficient Newton interface was appealing, and now here he is herding the cats of the Newton community, sharing his collection, and embarking on typography projects in his “free” time. We should feel honored because Dan Benjamin and John Gruber of the thoughtful (and sporadic) podcast The Talk Show were going to invite him on. Grant, during some technical difficulties in recording our show, told us that he sent a spare Newton for Dan to try out. That’s pretty cool. I think about how much free time Grant spends on a 11-year-dead PDA platform, or dinking around in his retro tech collection, and it helps me to feel that maybe I’m not so crazy after all. So thanks for that, Grant. And thanks for being on our show. Posted by davelawrence8 at 6:00 am on March 11th, 2010. One comment... » Categories: community, hello show, newton, newton history. Tags: david kendal, eMate, garageband, grant, hello show, hutchinson, messagepad, newton, podcast, splorp. Subscribe via RSS. Now that an Apple event later this month is official, the tablet rumor mill will churn with industrial-level speed. The consensus, from what I’ve read: 7-10″ touchscreen, digestable media (print, video, and otherwise), apps ala carte, and some sort of web connection. All that’s almost certain. 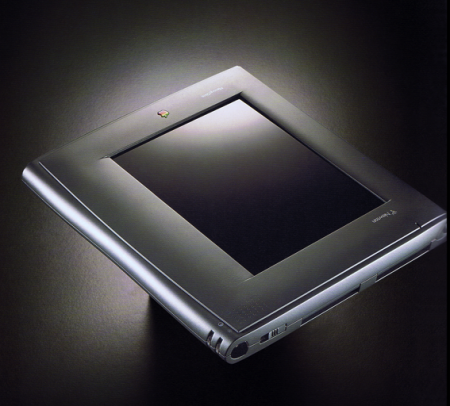 And, on the surface, the rumored Apple tablet sounds like an updated Newton MessagePad. Any similarities are superficial, of course. At 12 years old, even the youngest Newton shows it age. But let’s say we were to take a MessagePad 2000 or 2100, or even an eMate 300, and bring it as close to a modern-day Apple tablet as possible. What would we need? To start, we’d need applications – and lots of them. We’d also need some connectivity with our Macs or PCs. Some sort of media viewability would have to be there, as would an Internet connection. For people to use it, they need to easily understand how it works. Lastly, we’d need support from Apple. Fat chance on that last one, and we’d never get a color screen, but the rest of that checklist is doable with the Newton. It wouldn’t be as fast, colorful, or rich as a yet-to-exist Apple tablet. But as a proto-tablet, the Newton is it. We tend to think of technology as a steady march, a progression of increasingly better mousetraps that succeed based on their merits. But in the end, evolution may provide a better model for how technological battles are won. One mutation does not, by itself, define progress. Instead, it creates another potential path for development, sparking additional changes and improvements until one finally breaks through and establishes a new organism. It’s a great article about how technology often gets ahead of itself in the idea department. In time, the tech catches up with the brainstorm. I couldn’t help but think of the Newton while reading the piece. In this case, Apple pre-empts itself with its own device. We’ve seen pieces of the Newton, and of PDAs in general, transform into the modern smartphone: personal information management, notes, on-the-go apps. The Newton was made to be a stripped-down PC to take on the road; not quite as powerful, and much more portable, than a laptop. You could sync it with your computer, or you could run the device completely on its own. Except for the syncing part, the iPhone does this. In fact, I know friends who only sync their iPhone when they have new iTunes content to upload. Most of the time they’re downloading apps and digesting music from Apple’s mobile apps. After the initial set-up, and if you ignore every software update available, it’s possible to control your iPhone without ever syncing again. Same with the Newton. It was designed as a mobile computer – a standalone unite – just as some think that Apple’s supposed tablet might be. Along with the hardware interface, the key is good software. The Newton had its share. In fact, it had apps like the ones Apple brags about in its iPhone commercials – financial apps, games, personal information apps, etc. 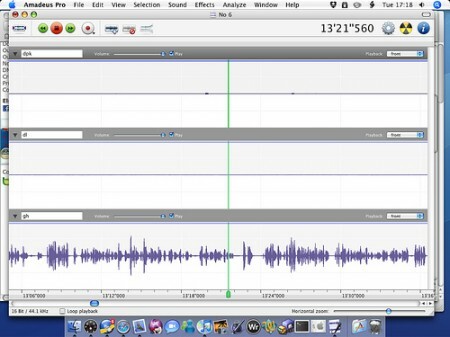 Some developers are still making apps for the Newton, and work continues of Mac and Windows apps that help manage the device. The iPhone’s popularity comes partly from its depth and breadth of apps. It’s safe to assume that this app-friendly environment will translate to the tablet. The Newton’s level of abstraction – souping up a notepad metaphor and controlling it with a pen/stylus – helped make the device understandable. With a tablet, Apple has already done the hard work by standardizing the touchscreen interface. In both cases, Apple takes the prevailing interface innovation of the day and runs with it. With the Newton, it was pen-based computing. With the iPhone, tablet, and even the mouse/trackpad, Apple is taking touch and building an empire. In the Newton’s day, consuming iTunes-level media was tough. Hard drives weren’t big enough, Internet speeds weren’t fast enough, and the software didn’t exist to manage all that music and all those movies. We had Quicktime, and some simple CD players, but there’s no way I could have ripped my 8,000-song music library onto the computers of the day. Given that, there were ways to consume media with the Newton. You can listen to music on one, with a little push and pull, and the Newton’s eBook format is still in use today, with tons of titles available. All before Amazon.com ever launched. Think of the Newton, and the iPhone today, as the perfect airport device. If you don’t want to lug a bunch of books or a laptop on a trip, the portable Newton is perfect. Read a book, play a few games, scribble some notes to yourself. Whatever. If you’re a small business owner, or hooked up to a large corporate network, you can even get some work done. This is the tablet ideal: something portable to carry all your consumable stuff. The Newton was one of the first devices to help the idea of e-mail spread with NewtonMail. Here was a handhald mini computer that you could use to send faxes, make phone calls, and check your e-mail – and even browse the Internet. A wifi card, a newer-model Newton, and some driver-fu, and you are still in business. As fun and geeky as it is to connect with a Newton, it still pales to Mobile Safari. The web has grown up a lot, and it makes it almost silly to think about doing anything other than checking out text-only sites. Now, exceptions exist. If you’re a member of the Newton community, half the fun is seeing how many exceptions you can create. But accessing the web is where the tablet will really shine. The point is, Apple paved the way in accessing the web from a mobile device with the Newton. With the iPhone and soon, supposedly, the tablet, it’s built a mature system. As the Wired article shows, pioneering projects often come out before the world is ready for them. For Oracle, the network PC lacked the infrastructure to deliver Internet-on-demand computing. But it helped show that the desktop computer wasn’t the last best idea out there. It is worth noting that, in retrospect, the Newton was an expensive gadget. Without comparing specs and ability, when you look at a $500 unsubsidized iPhone compared to a $1,000 PDA, it’s easy to see where the Newton stretched the average American’s budget too tightly. It could be that, at the time, the technology simply cost more then than comparable technology costs now. Lower costs certainly lead to wider adoption, which explains why the Newton struggled to gain momentum. But still, with the Newton, the idea of a mobile, self-sustaining device that allows you to consume media, get some work done, and make connections in an intuitive way was set in motion before the world was ready. Apple has shown, with the iPod and iPhone model, that the MessagePad ideals are still viable and ready for action. Now that everyone is waiting with clenched teeth for the rumored tablet, the Newton ideal seems like it has finally found its place in the world. Posted by davelawrence8 at 6:43 am on January 25th, 2010. One comment... » Categories: ipod/iphone, newton, newton history, PDA, rumors. Tags: apple, eMate, iguide, islate, itablet, messagepad, newton, PDA, tablet. Subscribe via RSS.